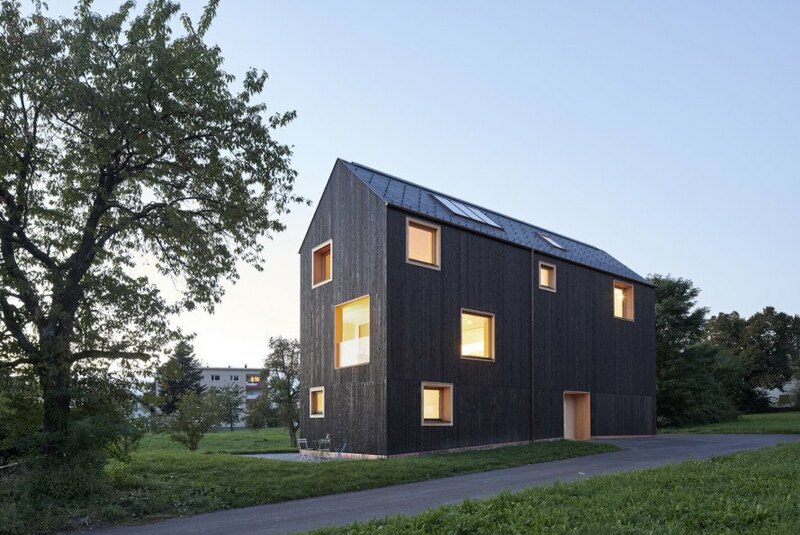 Clad in blackened timber, the three-story-tall House Bäumle 2 is thankfully saved from looking like a grim behemoth thanks to its series of seemingly random, oversized windows. 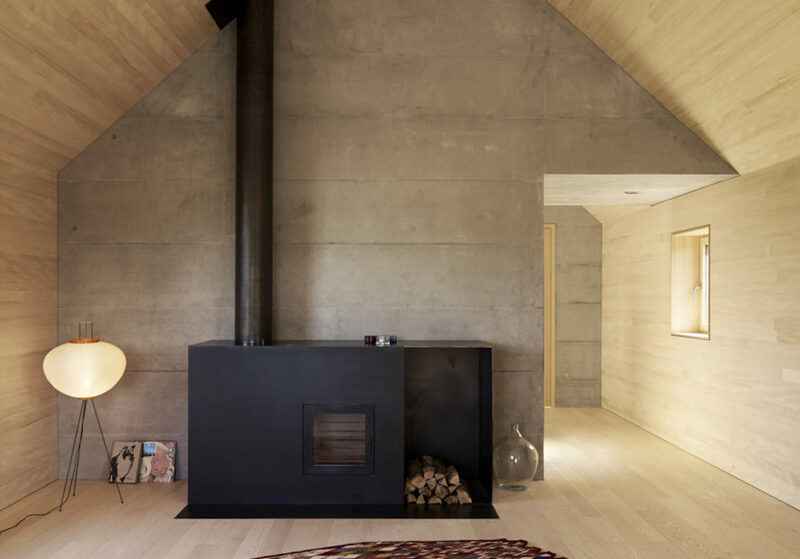 This large gabled country house is the work of design firm Bernardo Bader Architekten, which completed the project this year in Lochau, Austria. The building’s tall and singular form was the result of a very narrow building plot. 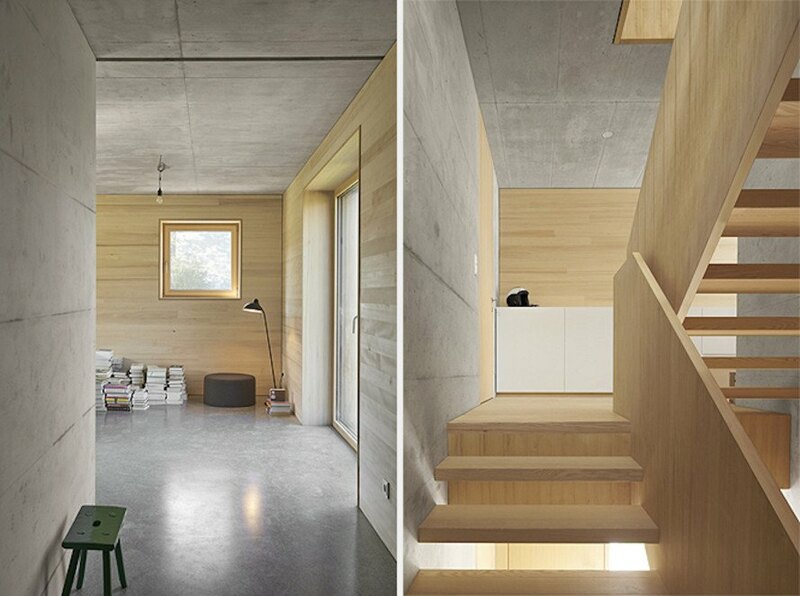 The House Bäumle 2 was built on a slender strip of land next to a steep incline that falls away to a small stream. Its arresting blackened timber facade is a nod to the traditional vernacular of sunburned agriculture houses that the architects say have largely disappeared in Vorarlberg’s Rhine Valley. Large square windows of varying sizes with unpainted timber frames punctuate the dark facade. A large reinforced concrete mass sits at the heart of the home to help absorb and retain heat during the day and release it during cool nights. Heat is provided through a large black wood-burning stove and heat pump. The home’s highly insulated frame also helps prevent heat from escaping. The House Bäumle 2 was built on a slender strip of land next to a steep incline that falls away to a small stream. A large reinforced concrete mass sits at the heart of the home to help absorb and retain heat during the day and release it during cool nights. Heat is provided through a large black wood-burning stove and heat pump. Large square windows of varying sizes with unpainted timber frames punctuate the dark facade.